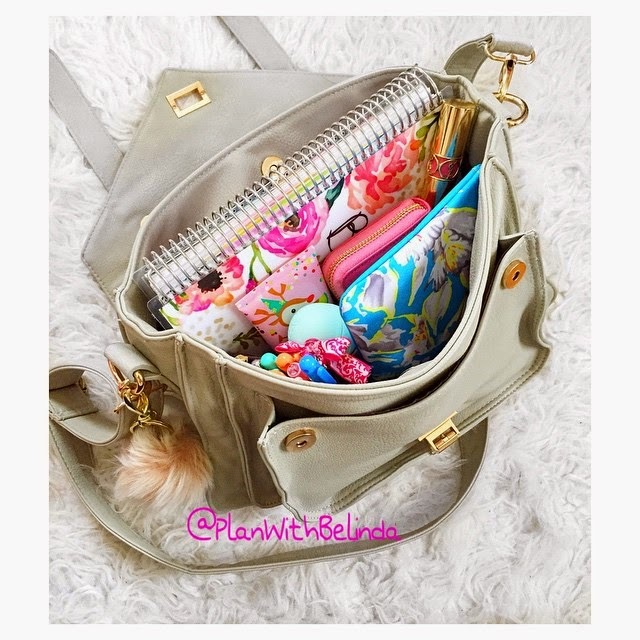 BelindaSelene: What's Inside My Purse! I'm always curious to see what women bring with them in their purses aside from the usual phone, keys, and wallet. I think that's why those "What's in my purse", videos are addicting. There are a couple of necessities I must carry with me at all times. You know just in case there is a natural disaster like a blizzard bringing in six feet of snow, or a tornado that will bring Dorothy, or even rain that will flood our city like Godzilla is coming out of Lake Michigan. Anything can happen where I live, it's all four season this week alone. Ha ha okay I may have exaggerated a bit but some these items are "if you were stuck on an deserted island" type of products. If I'm stuck on a deserted island I can tell you what day it is with my planner handy with me lol. I don't actually always carry my planner with me but this bag is great for school, work, for your super mom duties, and the casual days. It is the Kylie Messenger Bag from my Markkit Collection. 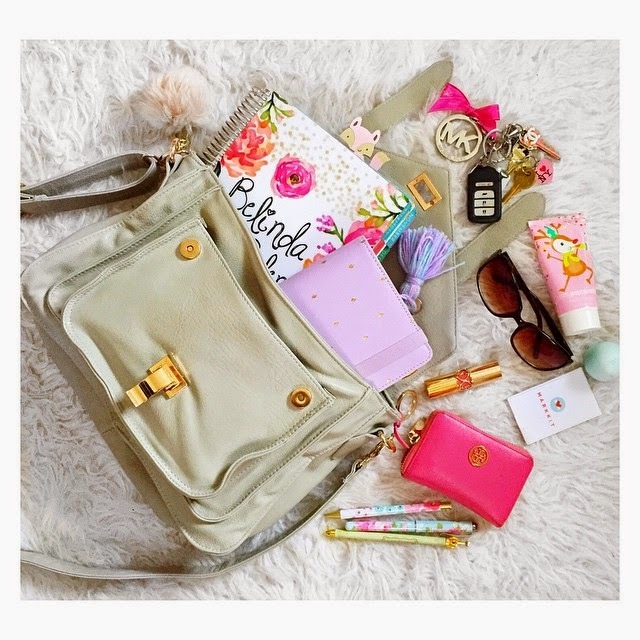 The bonus is that my planner fits here comfortably with enough room to spare for your makeup and wallet. I love that it has a cross body strap which is best when you are shopping. My must haves are my lip balm, hand lotion, and lipstick. I guess I have very dry skin and panic when I don't have these with me at all times. I like carrying my planners with me and different colored pens as well. My wallet and keys are a given along with my phone, not pictured because that's what I used to take the picture. Tell me what are your must-haves are in case you run into Dorothy or Godzilla ha ha. See what I did there? Belinda your handlotion is adorable...where's it from?